PROVIDING INFORMATION, CONNECTIONS AND HOPE TO THE USHER SYNDROME COMMUNITY. View our full library on this page, or search all USH Talk text and audio on Panopto. 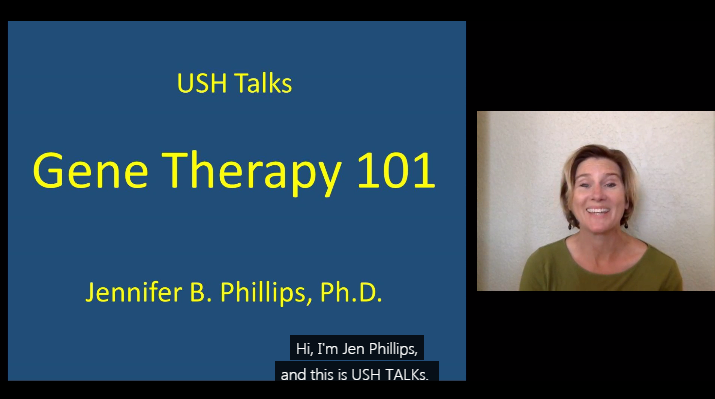 Subscribe to USH Talks: To subscribe using iTunes, click here. Even easier, search for 'USH Talks' in the Podcasts app on your iPhone or iPad. You can also subscribe to RSS here. 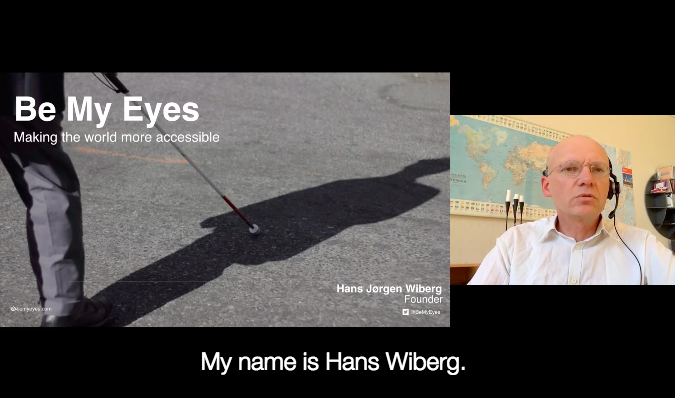 July 24, 2018: Hans Jørgen Wiberg describes Be My Eyes, the app made up of a global community that connects people who are blind or have low vision with sighted volunteers from around the world through a live video call. 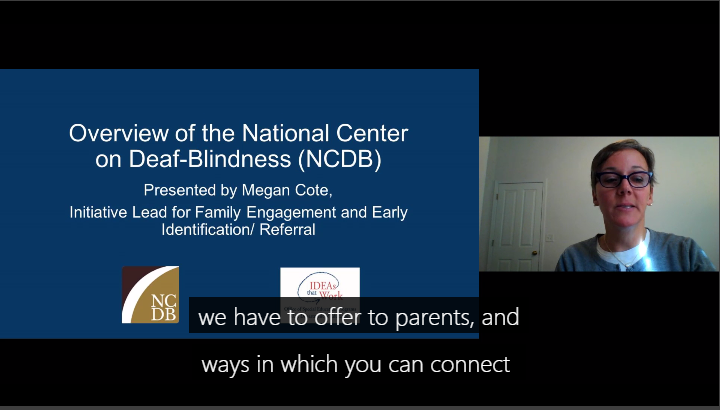 April 4, 2017: Megan Cote provides a brief overview of the National Center on Deaf-Blindness (NCDB), their six national initiatives and ways in which they can connect families to support and training at the state and national level. 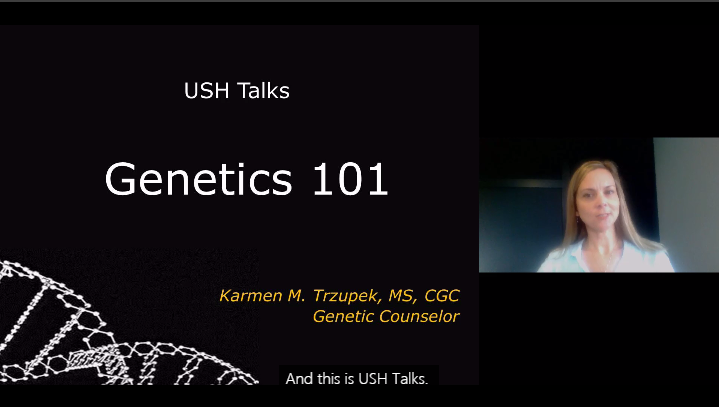 March 13, 2018: In this USH Talk, Dr. Monte Westerfield presents research on animal models of Usher syndrome that shows that a specific type of cellular stress is responsible for degeneration of photoreceptors and inner ear cells. These discoveries provide strategies for preclinical testing of therapies to prolong vision in persons with Usher syndrome. 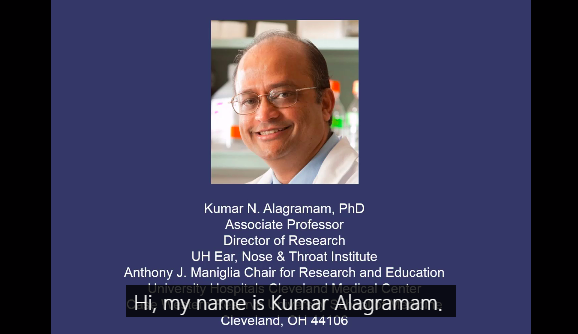 December 5, 2017: In this USH Talk, Dr. Kumar Alagramam summarizes therapies to treat two common mutations in Usher syndrome III (USH3) and demonstrates proof-of-concept using animal models of USH3. October 3, 2017: In this USH talk, Hester van Diepen provides an overview of the Usher development program at ProQR Therapeutics as an approach for possible future treatment of USH2A-associated retinitis pigmentosa. June 27, 2017: This presentation by Dr. Shannon Boye summarizes efforts to develop a dual AAV vector-based gene therapy for Myosin7a Usher syndrome (USH1B). The drawbacks of USH1B mouse models and a rationale for testing these vectors in a more clinically relevant species are discussed. 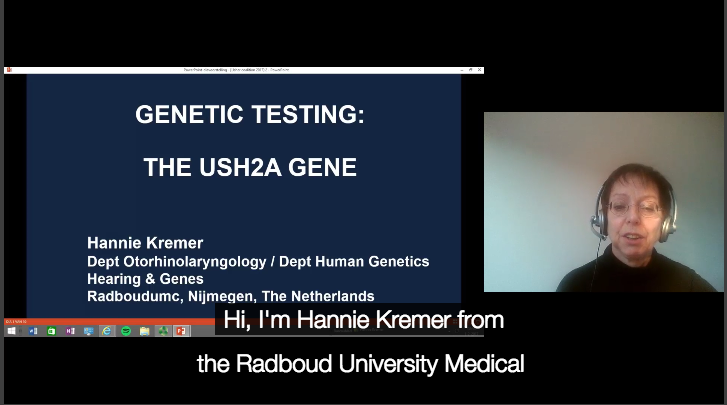 May 30, 2017: This USH Talk from Dr. Hannie Kremer explains genetic testing of the USH2A gene, as conducted at the Radboud University Medical Center in Nijmegen, Netherlands. May 2, 2017: In this USH Talk, Dr. Gema García-García shares strategies for the molecular diagnosis of Usher syndrome used at the Health Research Institute Hospital La Fe in Valencia, Spain. 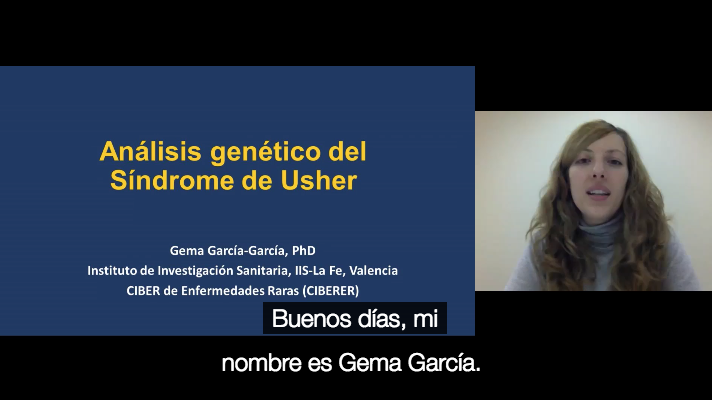 May 2, 2017: Estrategias para el estudio molecular del Síndrome de Usher. 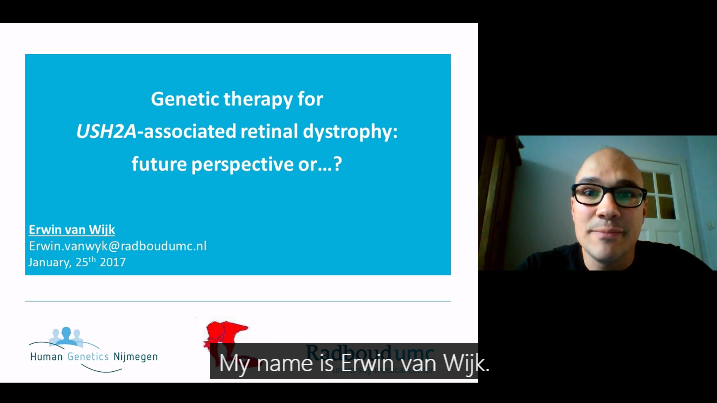 March 1, 2017: In this USH Talk, Dr. Erwin van Wijk shows that AON-based splice correction could be a promising approach for the development of a future treatment for USH2A-associated retinitis pigmentosa. 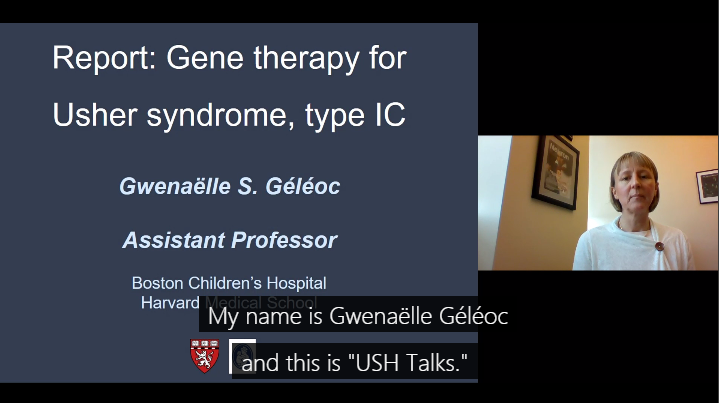 February 6, 2017: Dr. Gwen Géléoc shares exciting news on progress made towards gene therapy for USH1C, which restored hearing in deaf mice down to a whisper. 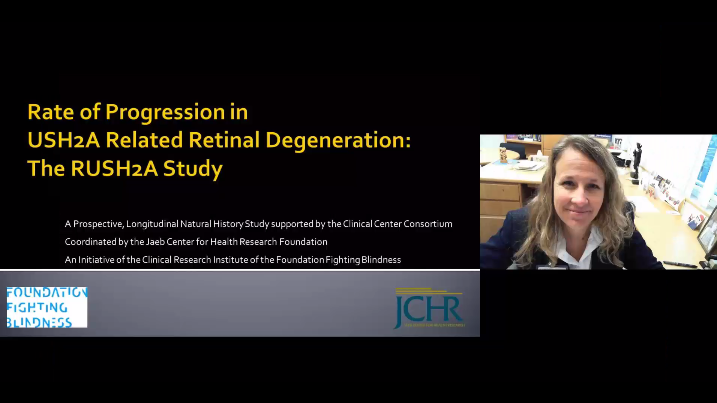 January 24, 2017: Dr. Jacque Duncan gives an overview of a clinical trial that aims to study the rate of progression of USH2A related retinal degeneration. 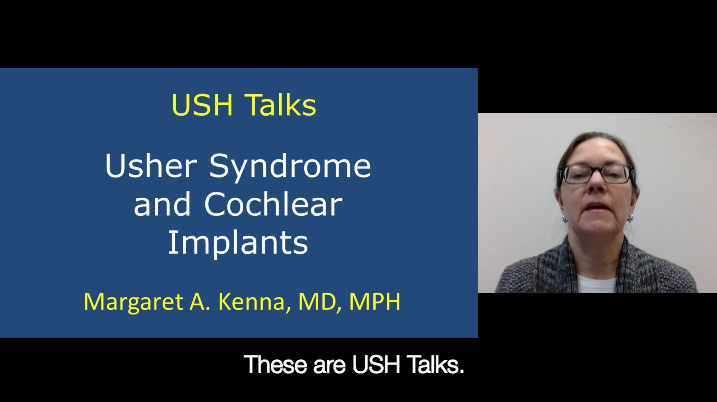 December 27, 2016: Dr. Marly Kenna provides a basic overview of cochlear implants and how those with Usher syndrome might benefit from this technology. 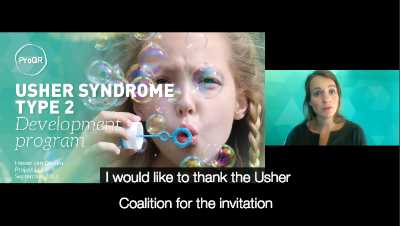 The Usher Syndrome Coalition is proud to present the "first ever" series of educational videos about Usher syndrome in American Sign Language (ASL). View full sessions and search content in Panopto.